A single goal from Adnan Januzaj separated Manchester United and Aston Villa, it was a hard fought match light on creativity and chances, the young Belgium Adnan Januzaj who has not started for Man United since February scored in the 29th minute. Rudy Gestede came on after an hour for AVFC and showed again how he will be a danger for Premiership defences this coming season. Throughout the game Mata proved difficult for Aston Villa to control and nearly led to a second goal for Man Utd when in the 73rd minute split the defence with a pass through to Memphis. Aston Villa got the new season off to a good start with a one nill away victory to Bournemouth, a goal from new signing Rudy Gestede was enough to seperate the two teams. 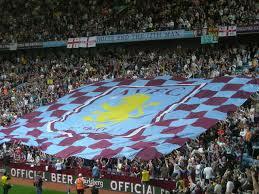 Bournemouth did have the lion share of the ball as the new look Aston Villa side is looking to get together as a team. This was the first time for Bournmouth to compete in Englands top division in 116 years and although lost the first game made things difficult for Aston Villa. Tim Sherwood has had a busy summer, and this was evidant on his team sheet with 6 of the summers purchases making there debut. Astonvillarumours.com is a blog managed and maintained by fans, it is important to note we are totally unofficial and many blog posts posted are rumours and unconfirmed by Aston Villa Football Club. 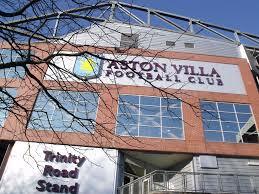 Who will be the new owners of Aston Villa Football club?